Grow your B2B business. Increase your pipeline. Reach more of your customers. Our Sales Pipeline Velocity Calculator helps you identify how fast qualified opportunities are moving through the sales funnel. Our calculator will calculate the pipeline velocity for you using the data points you provide. Heinz Marketing is a B2B marketing and sales acceleration firm that delivers measurable revenue results. Every strategy, tactic, and action has a specific, measured purpose. Most firms focus on the activities. We promote the outcomes. While GMN has a strong marketing department, we know that there are areas we are not the experts and times when we need creative help and additional resources in a timely manner. We have worked with Heinz marketing for over 5 years and have come to depend on them to be our go to resource in these cases. We have found Matt and Maria to be exceptional listeners, taking the time to understanding our business and needs, then amazingly efficient in coming up with creative and insightful work to help us with strategy and content that drives engagement, actions and ROI. They are practical and current with all marketing trends. We are fortunate to have such a trusted partner. I hired Heinz Marketing for their expertise in lead management, lead scoring and lead nurturing in order to be sure we took our marketing automation efforts to the highest level. I really appreciated the highly professional and service-focused approach to our project. Thank you Heinz Marketing for getting us in A+ shape! Heinz Marketing is the rare kind of marketing agency that embraces revenue responsibility. They develop and execute precise, buyer-centric strategies that help us close more business and increase lifetime value from our growing customer base. The Heinz team mixes creativity with precision, applying a “math marketing”approach to managing your pipeline. They’re also a pleasure to work with. We hired Heinz Marketing to develop a company-wide influencer engagement program. We got a very well-thought through strategy and a turn-key map to implementation that also improved our social engagement and content amplification. Heinz Marketing has been truly a joy to work with. They are extremely collaborative and with you every step of the way; they truly share in your success and do all they can to make sure the project has the best possible results. Marketers recognize the Heinz Marketing name and equate it with quality; people were eager to read our report because their brand was attached. They are always quick to respond and great at communication; they make sure your goals and timelines are understand. I would recommend working with Heinz Marketing in a heartbeat! Heinz Marketing are truly collaborative partners.  Whether the project is technical, like migrating from one marketing automation system to another, or creative, like co-creating a research report, they are effectively an extension of the InsightSquared team. We’re just a project or two away from being able to finish one another’s sentences. 2nd Watch found value in working with Heinz Marketing. We had tight timelines and a specific need to launch our digital marketing efforts which they were able to jump in and provide tactical and strategic guidance for our campaigns. I would recommend their services for launching new campaigns or health checks on your current efforts.